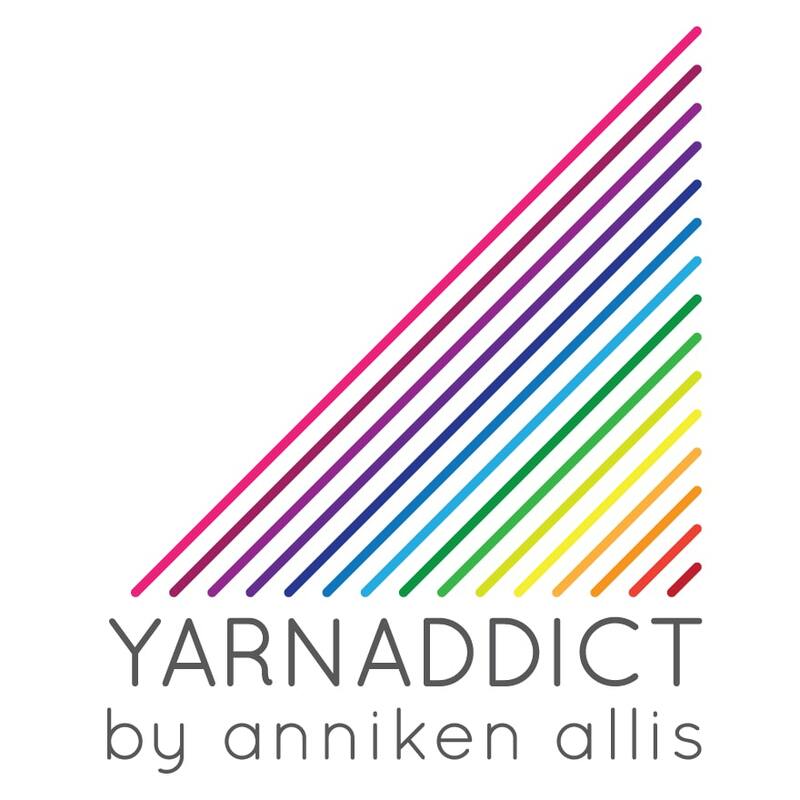 Confessions of a YarnAddict: Well that was a busy few weeks! Well that was a busy few weeks! The last two months, and the last month especially, have been so busy. For the last four weeks I've been away on three trips with only a few days at home between each trip. On top of that I've had workshops and deadlines. I must admit last week I felt exhausted and last week was all about recovering. I'm very behind with admin, e-mails and blogging. July and August are much quieter. I do have a couple of workshops, deadlines and I need to do the last bit of work on my book manuscript but I'm also looking forward to getting into a normal routine and spending more time at home. 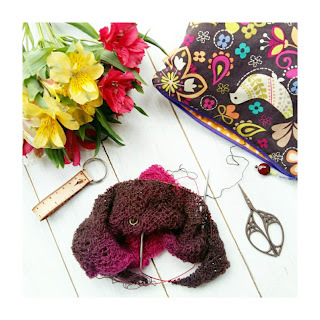 I have been doing a lot of knitting and the Mille Colori shawl I shared in my last blog, is finished and the pattern is with my tech editor. My main project for the last week is the pink fluffy thing above. 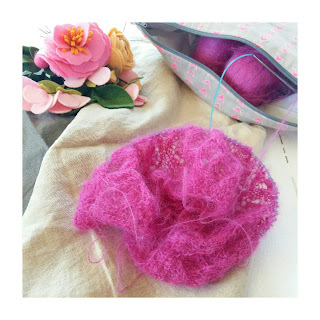 It's a mohair blend yarn and although I love the colour, I'm not a fan of mohair yarns. This one at least didn't shed much. I'll share more about this design when it's released later in the year. I'm really excited about it as it's a new to me publication. It's all blocked and lying on the desk next to me, waiting to be packed up and sent to the publisher. I'm waiting for some yarn to arrive and once it does, I'll be casting on for a new design but I thought I'd use the waiting time to make some progress on other wips. I've got two projects that's been on the needles for a while. 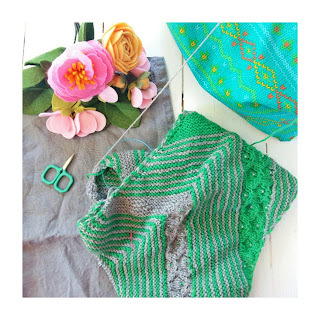 The green/grey shawl has had some length added to it. I'm slightly worried about the shape. Not sure it's turning out quite as I'd planned but I'm enjoying knitting on it. 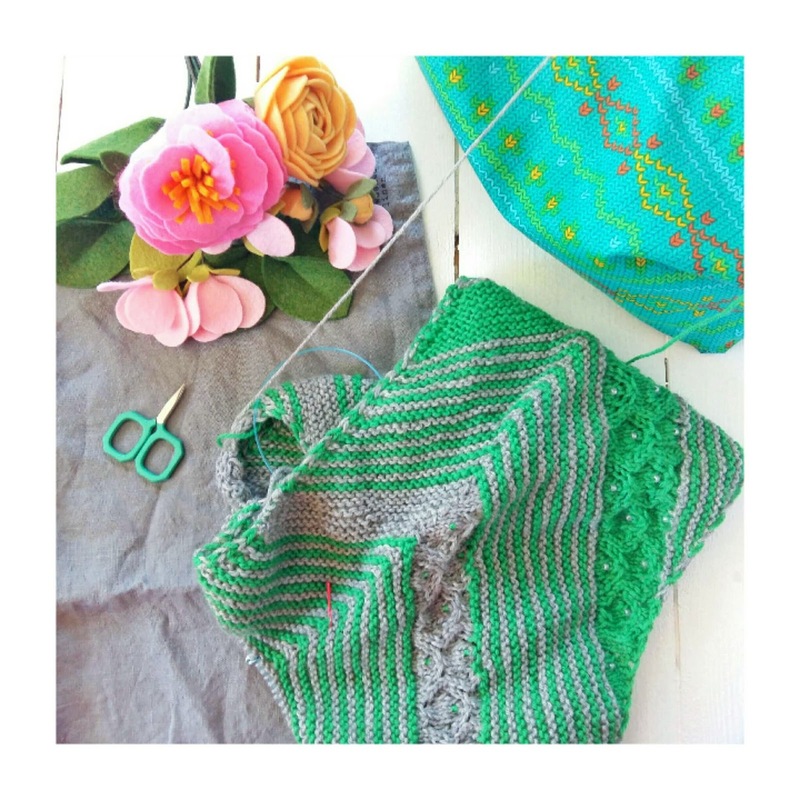 The lace is interesting and the garter rows are quick and easy. The Lace Ball stole above was started last Christmas when we were in Norway. I knitted quite a bit on it but after we got home it got put on hold and when I picked it up again, I decided it was too narrow so I ripped a big section out and made it wider. I've knitted the odd row now and then over the last few months but it's not seen any dedicated effort for a while now but this weekend, I got into working on it again. I added several repeats yesterday. It's not a very photogenic project. At the moment I'm working on a very dark section and I must admit I'm looking forward to getting back to the pink. The lace is fairly easy but not too easy. It has two rows of beads in every 22 row pattern repeat and it's in garter stitch so every other row is just a plain knit row. Best of all, it's small so can fit in my hand-bag easily. I'm planning to get back into more regular blogging this month and start posting Monday Mini Tip Tutorials again. It's been a while since my last one. The next Monday Mini Tip Tutorial will be next Monday. I've also got a very exciting project planned for August, which I'll be working on a lot over the next two weeks. It'll involve a lace design, lots of tutorials and something new to me. More details soon! Make sure you sign up to my newsletter below so you don't miss out!